In the epoch-making programs No.2 and No.3 of The Silver Thread series, Bodhisattva himself says several times that human Personality and Consciousness are not the same things. 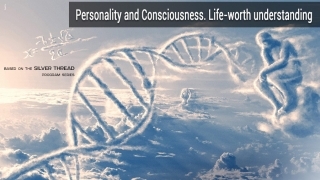 That is, I the personality and my consciousness are different things, and my entire life depends on this basic understanding, without exaggeration. I mean my true Life which does not end with the death of my body-shell. 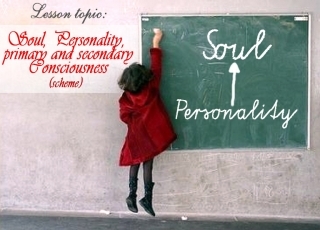 Besides, in the programs we find out that Personality is in fact a part of the Holy Spirit. 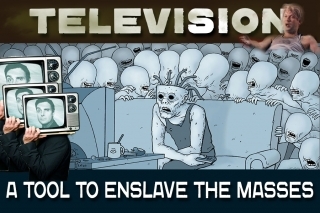 However, he or she can either be enslaved by consciousness or consciously control and use it for his or her purposes, say, like a summer resident in the country uses a shovel to dig up potatoes. This statement makes me ponder over many things. Conversations with Imam. First one:” The spirituality about which we, for some reason, do not know”. 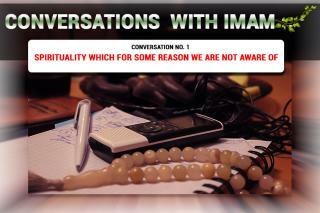 We start the series of articles "Conversations with Imam," and in order to avoid speculations we will immediately make a reservation, a person who gives an interview is not Mahdi! In our opinion, strictly speaking, it does not really matter who he is and what is much more important is the essence of the information provided, but it is, just believe me, is worthy of attention of every searching, spiritually cognizing and reasonable person. 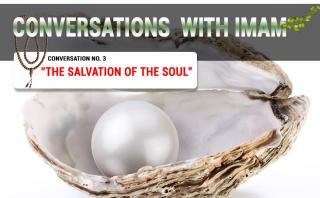 Even the first of the planned meetings has brought us a lot of unexpected revelations and awareness in the issues concerning the real spirituality. 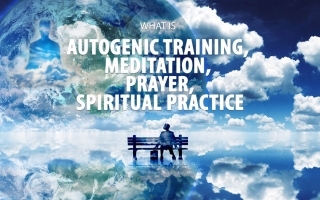 But not the one which is well-known to all of us through the orthodox religion, theosophy, esoteric, and new-fangled "New Age", based on stereotypes of consciousness, magical ritualism, sacred and book dogmatics, for which, unfortunately, very few people are able to discern the true plan of the Almighty and the right course in motion to Him. 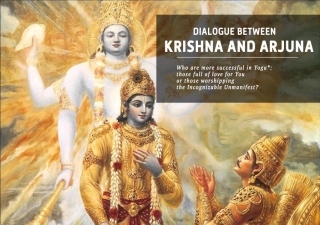 Finally, despite the fact that the misconception about the relationship between " a man and God" has been inculcated and kept up in the society for ages, which is confirmed by the full of tragic lines a chronicle of civilization, we humbly and consistently will try to consider and express that new, or rather well-forgotten old introduced Primordial Knowledge. Due to this Knowledge, everyone, without exception, can understand the essence of what is happening around and save the most valuable, which is one's Soul. A couple days ago I “accidentally” came upon a very interesting online article by Alexander Kazakevich, entitled There Is No Intelligent Matter! The title intrigued me, and once I read the article a desire emerged to share with you the marvellous information about last century’s scientific researches of the soul, the nature of thoughs and the location of consciousness in human brain, or rather its absence there. It’s particularly nice to find out that some globally recognized scientists, despite the general materialistic vector of science development, have nonetheless closely approached the truth which recently became available for the broad audience of those who seek answers to the eternal questions: “Who is a human being?”, “Why are we here?”, “How is everything structured in the universe?”, etc. The truth that came owing to the Primordial Knowledge brought to our world by Bodhisattva Rigden Djappo in the extraordinary, unique AllatRa book. I will no longer keep you in suspense and post the aforementioned article right away. 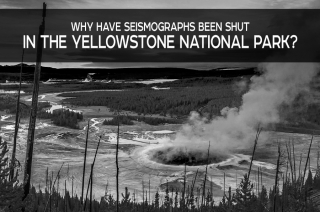 Online seismographs that recorded seismic activity in the Yellowstone supervolcano area and used to be available for the public have been shut, thus the world can no longer observe what’s happening there. Quite staggering news, isn’t it? The first conversation: "Spirituality about which we, for some reason, do not know." The second conversation: "The doomsday approach. The importance of human unity". In observation of consciousness it has been noticed that it uses only several tools to seize power over a human Personality. I am happy to state such tools are not numerous, and they are as follows: thoughts (voice in one’s head), pictures (images), and emotions. 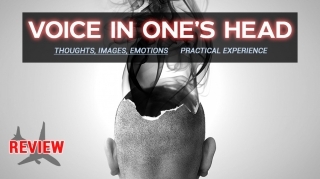 In this article let’s review the work of one of such tools – consciousness or a “voice” in one’s head (thoughts that one hears or views mentally). Relevant experiences have been acquired in the course of observation of themselves by different people in everyday life, in particular observation of thoughts that came to their head. 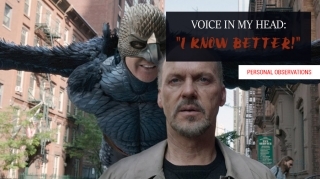 Very many people participate in this experiment, thus many stories will be recounted from the third person. 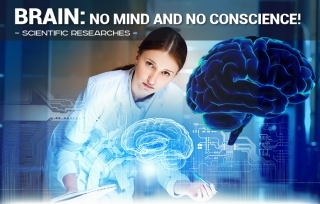 The research has several trends one of which is the work of individual consciousness (manifestations of consciousness in a separate individual) and collective consciousness (manifestations of consciousness in a group of people). These trends are quite interesting and closely interrelated. The only thing to be mentioned regarding the work in a group is that different people can receive similar thoughts at the same time: this is a sort of spam mailing, to say in the modern language. However we shall refer to such experiments a little later – in relevant articles dedicated to the trend. An activate mechanism for writing this article was my bewilderment on why newsreaders, journalists and reporters on TV talk quite unusually for normal people, putting a certain emotional shade into every word, a certain emphasis that excludes any objections regarding what they are saying. A totally logical question arose: why? And since this is practiced by all modern TV channels I know, I’ve decided to get to the heart of the matter and find an answer. 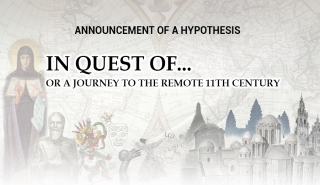 Quite a while ago Max Vorontsov arrived at an idea to write a little research work dedicated to events that took place in the 11th century AD. He says it took him a lot of time and effort to elaborate and implement the idea as he viewed it. When I received the article for editing and publication, at some deep intuitive level I felt the story was incomplete and showed only a top of a huge hidden iceberg or, in other words, of the great spiritual feat committed by the One whose name and deeds have been strangely and zealously erased from official history chronicles and totally forgotten. Thus I started the quest, which literally seized my mind and gave me no rest throughout the last month. It’s the quest for information with the purpose of disclosing as many relevant events of that remote century as possible. Coming home... or what does Life consist in? Coming home, the first thing I do is embracing my daughter. I caress her hair, kiss her on both cheeks,... and I think to myself: “How many children are there on the planet Earth who don’t have parents? Who have nobody to caress, embrace and soothe them? Have I done everything today to decrease what I don’t like in this world and to expand what I like?” And I understand I haven’t done everything possible. Oh, it’s so hard to make myself write anything... My head is as if squeezed... I’m in stupor. At that, despite everything, certain clarity is preserved, and there is still the inner observer who simply and impartially records everything what is happening here and now. 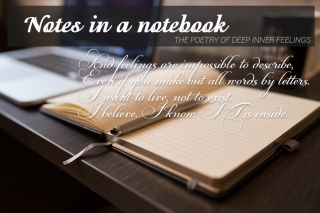 - I don’t want to write..! - Who needs this at all?! 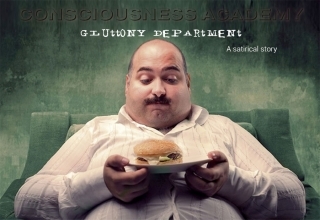 It happens so that I may be reckoned among those who at the initial stage of self-development make no headway for a long time, vainly trying to enter the Spiritual World by means of consciousness. To make it as clear as possible (hopefully, regular visitors of this website have already learnt to distinguish a real pear of that made of papier-mâché) I was trying to force my way into the Spiritual World by means of mind or Devil, just like the absolute majority of believers on the planet. Yes! I was making my way to God with Devil’s help! 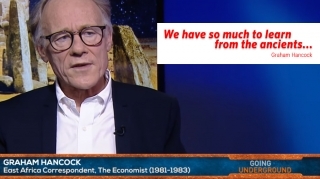 Probably, it’s the most shocking paradox by which our civilization has punished itself, having lost the Primordial Knowledge and plunged into the swamp of lifeless mental dogmata and distortions. 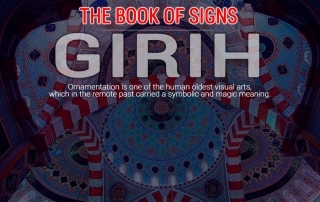 In different times, same ornament elements were perceived and used in different ways, depending on people’s beliefs and views of the surrounding reality. Ornaments were attached a special interpretation, visual solution and style to. For instance, in ancient heathen beliefs a rose (rosette) was the flower of goddess Venus – the symbol of love and beauty; in the Middle Ages it symbolized the flower of the Mother of God, and in Islam it is the symbol of heavenly life and cosmic power: “rose blazes as the gift of the sun, while its petals are small moons”. Ancient decorative elements have been preserved in traditional arts of the peoples of Africa, Australia and Oceania, in ornaments of South American Indians. Their ornaments and decorative motifs include both real and geometric, conventionally stylized shapes. Have we got the timeline right? Human remains of about 2.5 million years old. The conference on precession and ancient knowledge. Why do we consider civilization to be only about 6,000 years old? 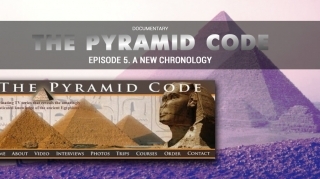 Arguments about the Great Pyramid age. The science of cycles in various cultures on different continents, and the myth of progress. Maya. The Maya calendar. The 260-day cycle. 2012 as a turning point. 21 December 2012. The Sun lined up with the centre of our Milky Way galaxy. I would like to start this little article with the words that are understandable and familiar to many people. I believe many readers of our website would say roughly the same. Allat has multiple manifestations. In scientific understanding allat is a single unit of time, which has a great importance for entire matter. If we take modern earth time values, an allat makes up 12 minutes, or more precisely 11 minutes 56.74 seconds. When scientists get to the notion of this important unit of foundation, so to say, the main building block of the Universe, there will be not just a grand revolution in science, but an evolutionary leap. Then scientists will understand what is hidden under the secret of time and, having realized that, they will reveal the true process of matter formation in the Universe. If people get to know the essence of Allat, they will gain enormous opportunities. 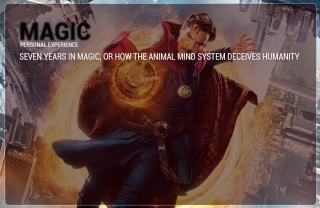 I would like to share my experience of learning the so-called “magic tradition”. This should be especially interesting for those familiar with such terms as the assemblage point, the awareness centre, lucid dreams, karmic knots, the Sephirot Tree, arcana, conduct of energies, varnas, chakras, fireballs, stalking, personal history, places of power, and so on. To give readers at least a general view of this “tradition”, I will have to describe certain major points and subtleties. Recently, a unique experiment has been carried out with application of an experimental state-of-the-art machine with a pyramidal frame, which has no analogues in the world. 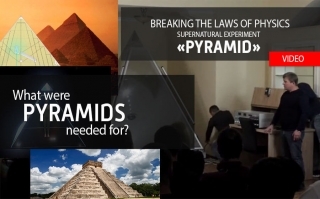 The PYRAMID scientific and experimental machine opens up tremendous opportunities to study the phenomena of consciousness and Personality (as an out-of-body observer) as well as to produce a potential that provokes human supernatural abilities. 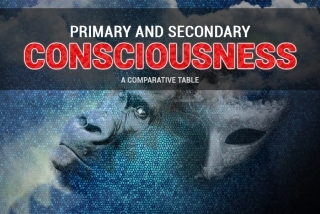 Let us present to your attention a comparative table for studying consciousness, composed based on the information given in the program Consciousness and Personality. From the inevitably dead to the eternally Alive. We have come to know so much over the last several years thanks to the knowledge brought into the world by Rigden Djappo. Books, TV programs, live conversations, talks in the circle of like-minded people, personal insights and spiritual experiences... As a result, today we already have an opportunity to look into the knowledge, verify it, and most importantly get convinced of what we are as human beings. 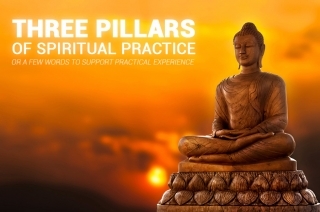 Now we understand there are Soul, Personality, primary and secondary Consciousness, the four Aspects (Essences), and we understand the difference between them, although some five years ago, let’s recall, we had no idea even of the Aspects. 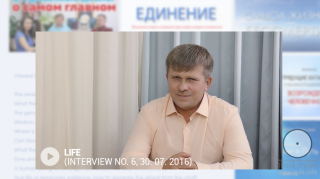 Source: Live conversation with Igor Mikhaylovich Danilov Consciousness and Personality. 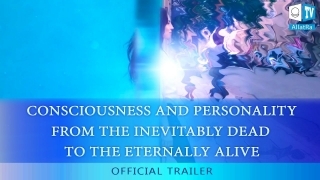 From the inevitably dead to the eternally Alive – pages 120-131: https://allatra-book.org/category/conversation-consciousness-and-personality Several tools are being given, which will help at initial stages of self-exploration and restoration of one’s spiritual personality through good thoughts, words, and deeds.